Over the last year or so, Adam and I have been trying to find ways to make our date night more active. 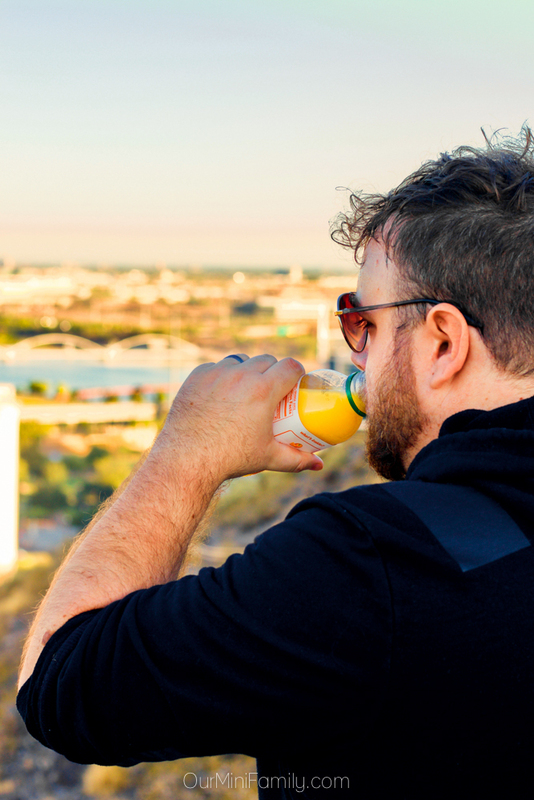 Last summer, we spent a lot of time walking around Tempe Town Lake catching Pokémon and clocked in many hours of spending time together on-the-move. Last Christmas, Adam surprised me with a brand new bicycle and Santa brought him one, too. After that, we spent the majority of our winter season riding around town enjoying the weather and simultaneously getting a workout. 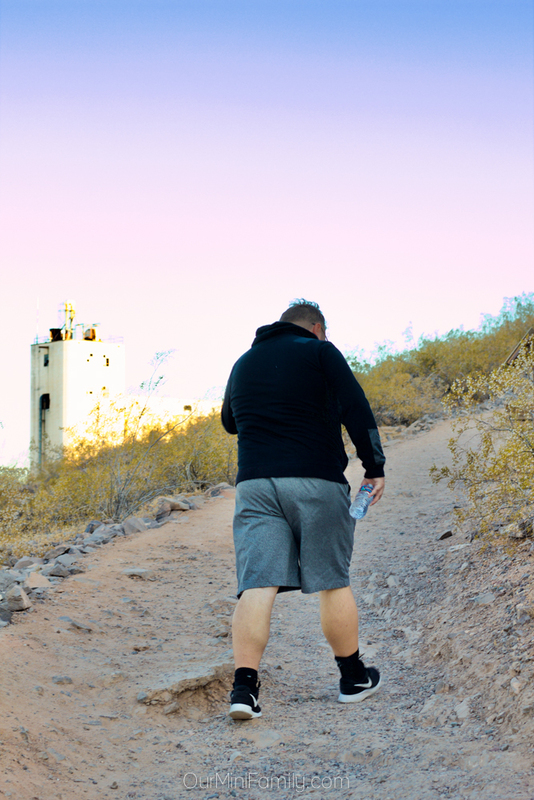 Lately, we've been doing a lot more hiking and enjoying the desert and one of our favorite spots to hike is at A Mountain near the ASU Tempe campus. I'm a firm believer that date night should not be difficult to plan or even afford (this gal doesn't need to have a fancy dinner in order to spend quality time with her boo bear!) Combining exercise with date night is a great way to inspire a healthy marriage--it keeps us on-the-move and having fun together, while at the same time promoting a more active lifestyle! Today, I'm sharing this date night idea along with what we think are the necessary date night essentials! 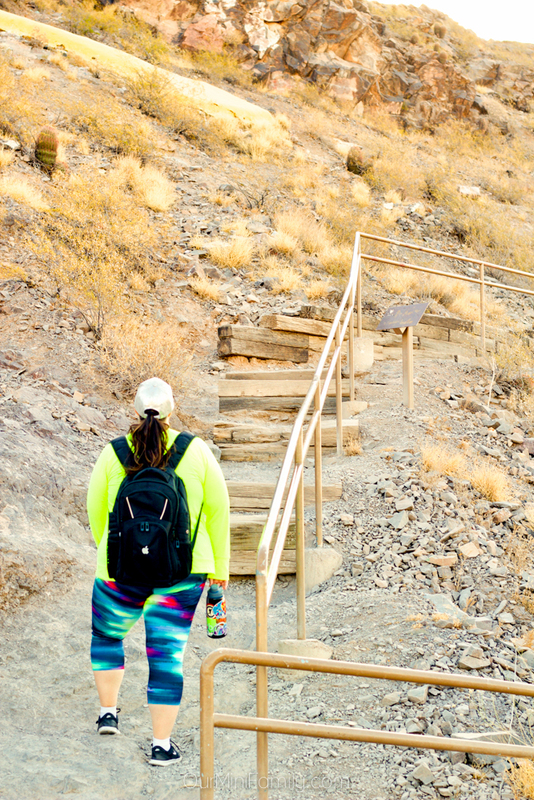 Below is a checklist of the must-have essentials for any date night hike! Most of the trails Adam and I take run along state parks, so we will bring an empty water bottle with us and fill it along the way. It's always a good idea to have at least one filled water bottle in case one of us gets super thirsty--getting dehydrated would be a quick way to ruin date night for sure! 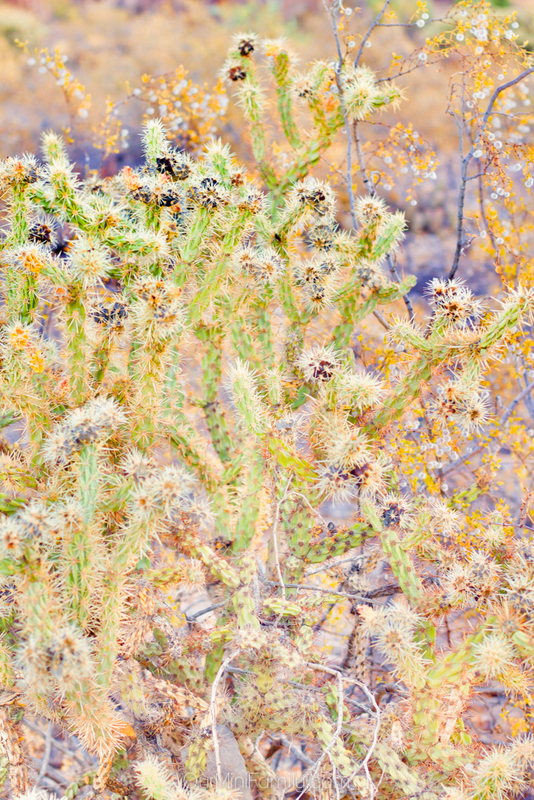 Sunglasses are an essential for any hike, especially when you live in Arizona! Protect your (and your loved one's) eyes with UVA and/or UVAB protective eyewear. Just like with sunglasses, having a hat to keep the sun out of your eyes and your hair out of your face while hiking is an essential! Adam and I have a number of baseball caps we like to wear when we go outside to either hike or ride bikes on our outdoor date night excursions. Nothing dampens a fun date night faster than a nasty sunburn! Unfortunately, we've had to learn the hard way after a few bad burns. But now we always make sure to apply plenty of sport-friendly sunblock before heading out of the house for our date night hike. Adam and I enjoy bringing fresh fruit, nutrition bars, and even cold pressed juices along with us on our date night hikes in a small cooler built into our backpack. 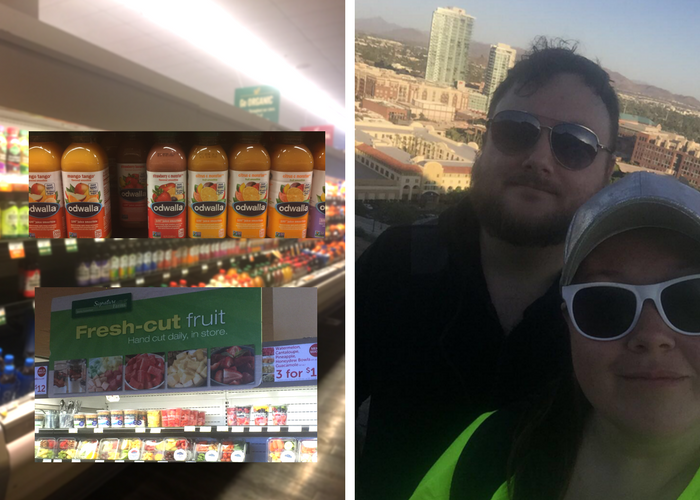 We like to make a quick run to our neighborhood Safeway before we head out to the trails, and I like to pick up a couple bottles of Odwalla juices and smoothies along with some fresh cut fruit from the produce department for a snack to enjoy either during or after our hike. 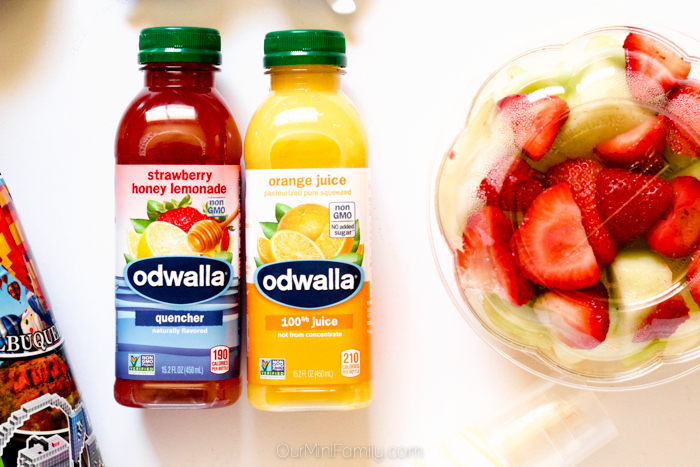 Save $1 on your next purchase of in-store fresh cut fruit when you buy any TWO (2) Odwalla 15.2 fl. oz. (You'll receive a print out coupon at the register.). Offer ends 6/27/17. 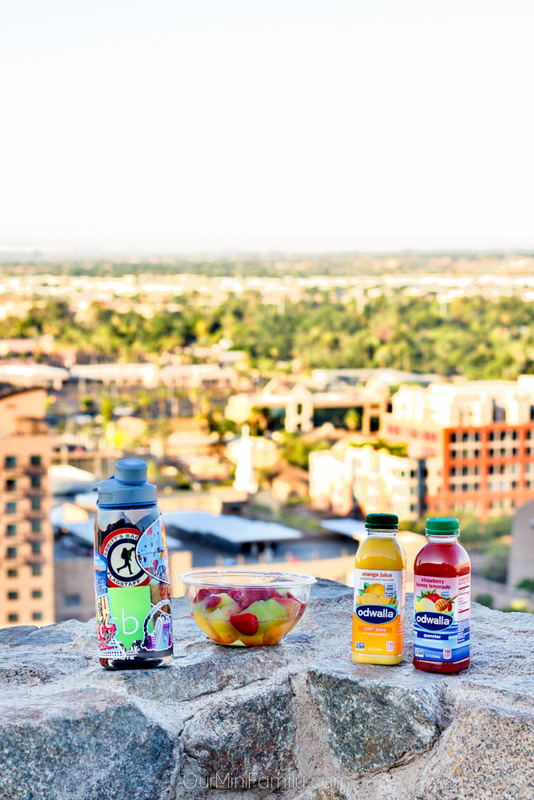 Odwalla juices and smoothies are a tasty on-the-go snack, especially when we're outdoors and doing something active like hiking, going for a bike ride, or even swimming out at the pool. 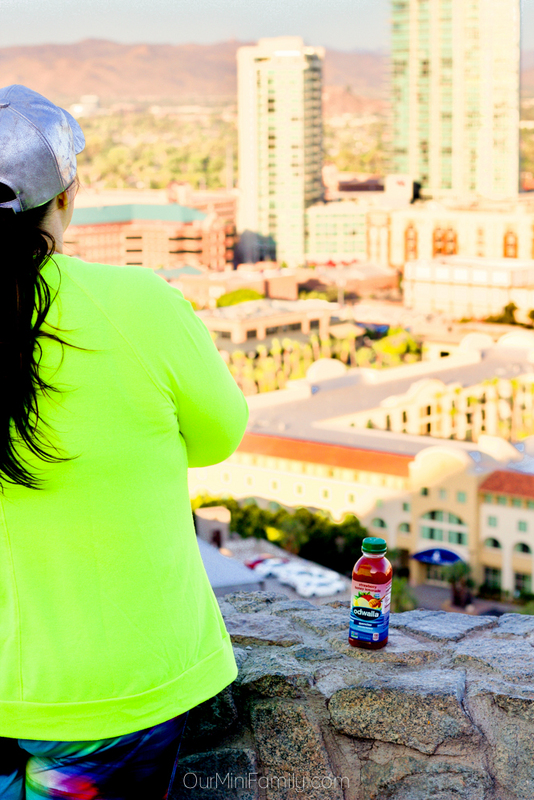 I never feel guilty when I enjoy a bottle of Odwalla Juice or when I reach for an Odwalla Quencher, since they are made with non-GMO ingredients. 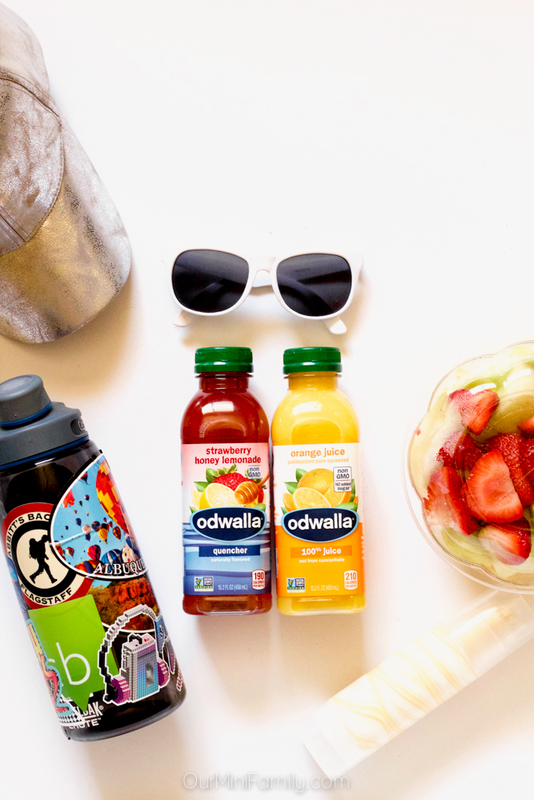 Click here to find Odwalla on Facebook! Well, this makes sense. I can't tell you how many times my significant other has told me to take a hike. My brother and his wife go hiking and biking together all the time! Such a beautiful place! And a great idea, hiking together is fun! I love walking so that is a great idea! This sounds like an awesome and inexpensive date night! This looks like a great date night if hubby and I could handle the walking! What a fun idea for a date night. So true that date night doesnt have to cost a lot of money. 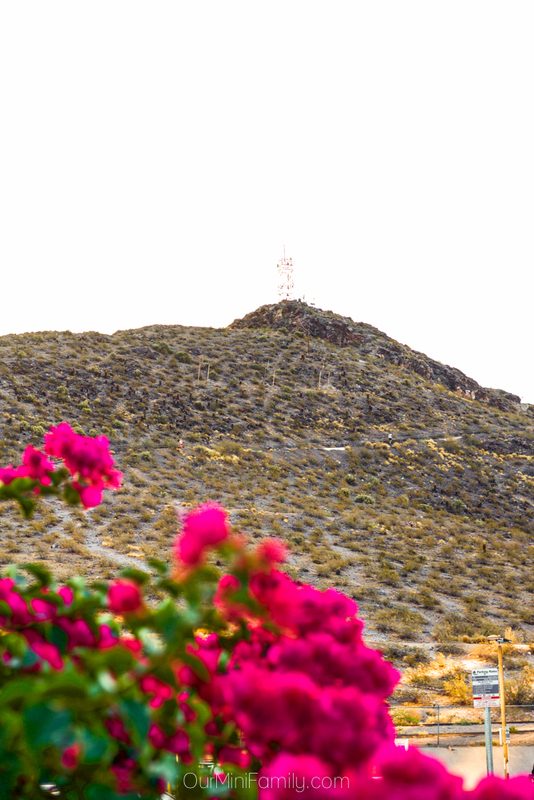 I love the idea of hiking, its a great way to see nature and spend time together.